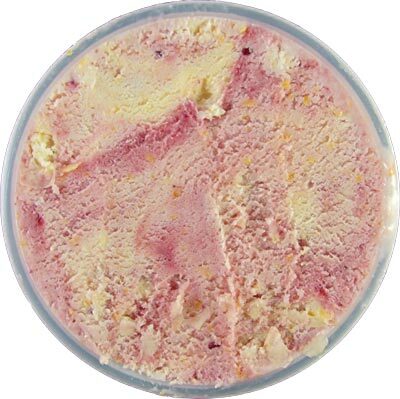 [By Nick] Okay, you guys stuck with me for the Balsalmic Fig and Marscapone ice cream from Coolhaus. Now I ask for you to keep an open mind again. I received this pint from my tour of Whole Foods awhile back and mainly decided to grab it because how unique/scary it sounded. 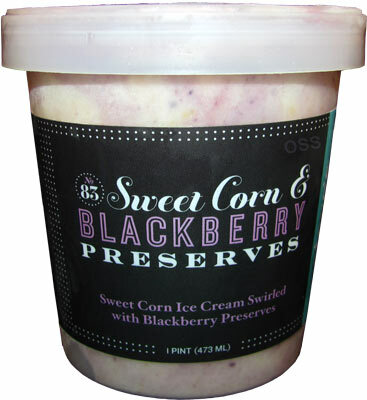 I mean blackberries are awesome but sweet corn ice cream? That's something I never imagined seeing available outside of specialty scoop shops. I know Jeni's offers a similar flavor but at this point in time, I trust Steve's a lot more when it comes to making ice cream. 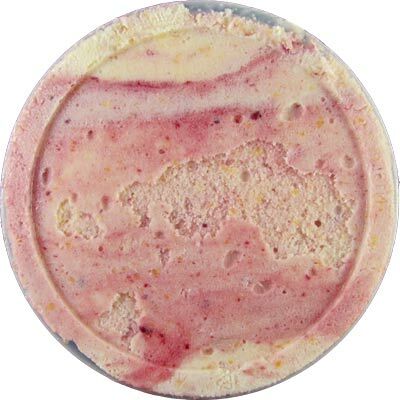 Oh wow, you can actually see bits of corn in the ice cream. I think my fascination has turned into pure terror at this point. Corn and ice cream sounds a lot more awful than it originally did when I first grabbed this pint. There's no turning back now. Well umm, this ice cream certainly interesting to say the least. My taste buds are having a hard time registering what exactly is going on. The consistency is standard from Steve's and is something I always look forward to in one of their pints. The flavor on the other hand is much harder to explain. First of all, there isn't really any corn flavor going on. The only way you'd tell corn is involved is from the corn "flesh", for lack of a better term, messing with the overall texture. The ice cream itself tastes more like a sweet cream to me with a little something extra which is more than likely from the sweet corn. The blackberry preserves are abundant and add for a sweet yet tart compliment to the milky base. My tastebuds are confused because they're not quite sure if they like what they're experiencing or not. The flavor is great but the texture of the corn "flesh" gives just throws everything out of whack. The best way I could describe it is if you've ever had canned corn and one of the kernels were devoid of the filling and all you had was the outside to bite in. It's not pleasant then and it's just way too weird for me now. I hope we start seeing more corn flavored ice creams on shelves because I've been wanting to try corn flavored ice creams for a while now and it seems that the only places to such unique flavors are at specialty shops, none of which are located in my area. I don't know why you were terrified to try this because corn is naturally sweet and creamed corn is very sweet. Stride, I was terrified once I saw all the bits of corn actually in the ice cream. That and I'm not a fan of creamed corn at all. As for more corn flavors, I doubt you'll find any mainstream brands doing it anytime soon. Ditto on that Nick. Im Korean American, and corn flavored ice cream and Popsicle's are wildly popular in Korea and Korean markets here in the states. I tried the Corn popsicles and they were..... interesting to say the least. It was essentially frozen cream corn, with whole corn kernels and all!! Kudos for trying this flavor. James, definitely an interesting experience. I'll leave corn to savory applications for now on though aha. I hate canned creamed corn but love frozen sweet corn fresh from the freezer. When I'm trying to add it to something I'm cooking, I end up eating too much of it while it's still frozen. 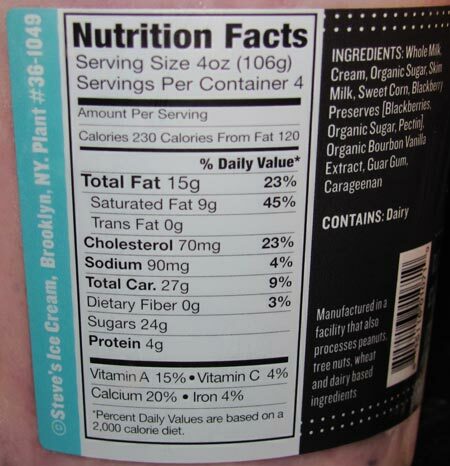 So I'm not surprised people are putting it in ice cream. It tastes different when frozen but still sweet.